The Darul Uloom Deoband in Uttar Pradesh’s Saharanpur has issued a fatwa prohibiting Muslim men and women from posting photographs of themselves and their families on social media sites. 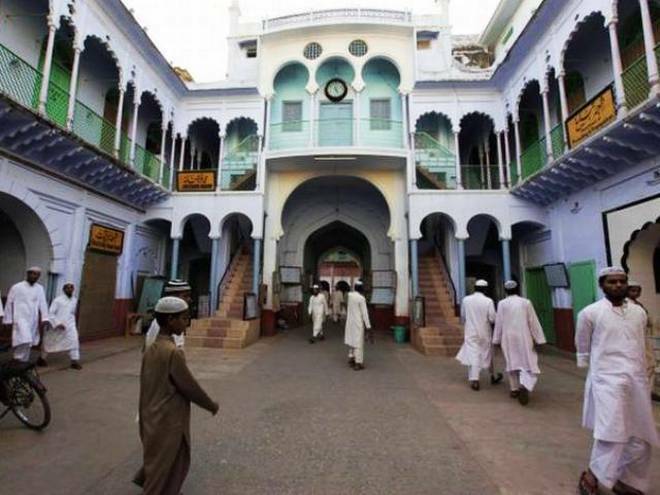 In the fatwa issued on October 18, Darul Uloom Deoband, one of the largest Islamic seminaries in India, has said that posting photos of self or family on social media sites such as Facebook, WhatsApp is not allowed in Islam. The edict was issued by the fatwa department of the seminary after a man approached it recently asking if posting photos on social media sites was allowed in the religion. Mufti Tariq Qasmi, an Islamic scholar associated with a madrasa here, said that when clicking pictures unnecessarily is not allowed in Islam how can posting photos on social media be allowed. Another cleric Mufti Mukkaram came out in support of the fatwa. “If a picture is clicked to be used in Aadhaar card, passport and other useful documents it is ok, but for useless things such as to upload it on social media it is not right,” said mufti Mukkaram.